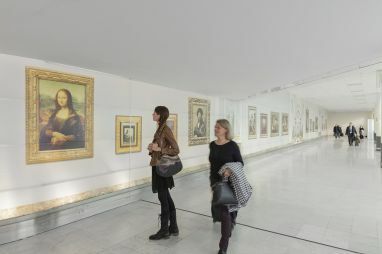 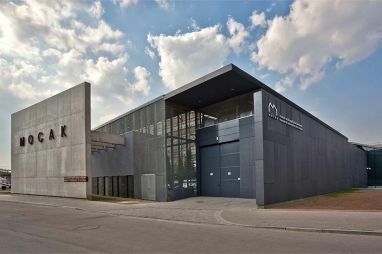 Large Exhibition at the museum Saint Raymond of Toulouse. 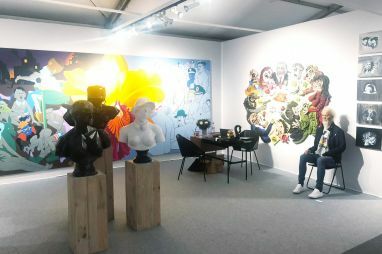 Some of my most recent creations are presented alongside well known contemporary Artists such as Xu Zhen, Damien Hirst, Jeff Koons and many others. 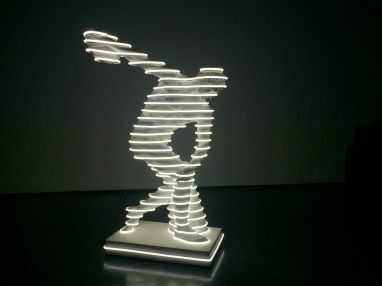 My " Neon Discobolus" is the central piece in dialog with an original greek version of it. 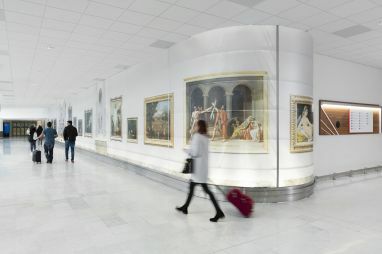 I have created a very large 40 meters wide image of a virtual visit of the Louvre Museum for the Parisian Airports. 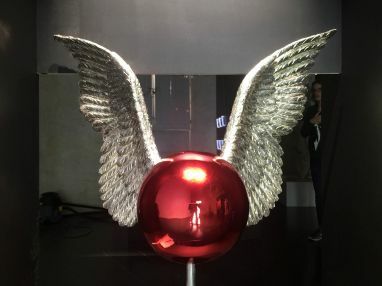 It will be presented on location for 3 years. 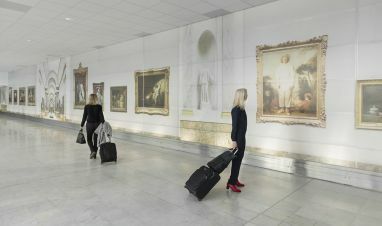 Visible by more than 1 million passengers per year. 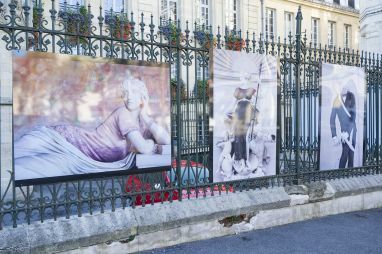 New exhibition of my latest Art work during the Art Elysee Artfair in Paris. 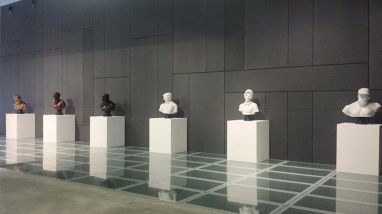 An hyper realistic human size sculpture and 3 of my bronze and marbles busts. 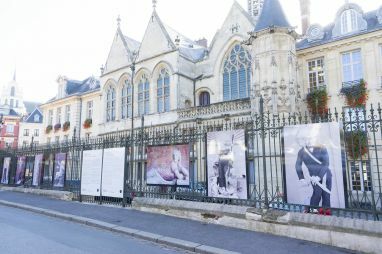 New exhibition of my work at the City Hall of Saint Quentin in France. 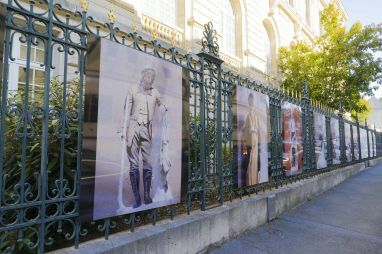 An original creation of 30 statues dressed in the fashion of the 20s for the heritage days of the place. 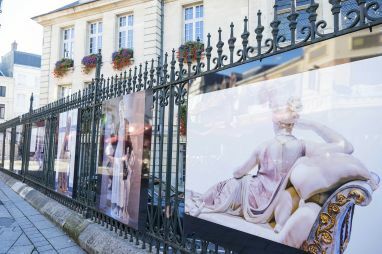 The exhibition is a success and might travel around different cities afterward. 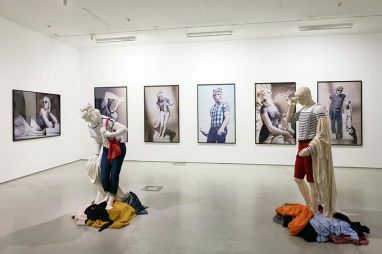 New Exhibition " On Pedestal " at Castletown Dublin. 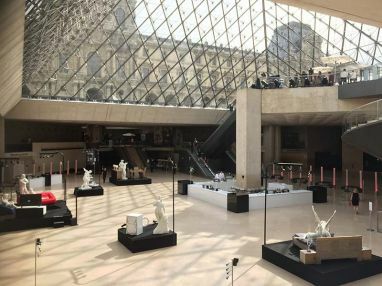 A dialog of contemporary " On Pedestal " Busts and Art pieces of well known Artists such as Wim Delvoye, Emily Young , Jam Sutton and many many others. 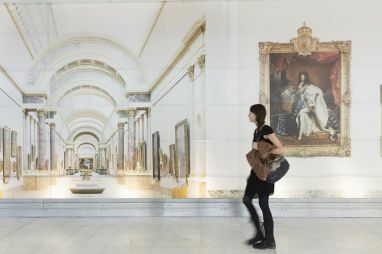 https://www.irishtimes.com/culture/art-and-design/visual-art/art-of-the-head-the-portrait-bust-is-having-a-moment-1.3542834. 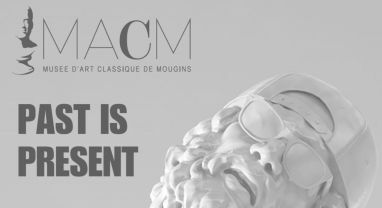 Official Catalogue of the King's College " Classical Now " Exhibition whre the work of Leo Caillard is presented alongside artists such as Damien Hirst, Jeff Koons, Marc Quinn and many others. 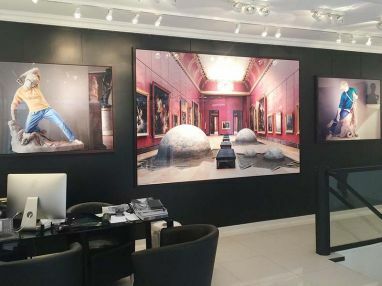 Leo Caillard has presented his art pieces all over the 3 floors of the MACM museum in Mougins, south of France. 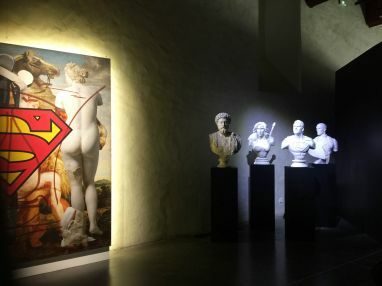 His artworks create a dialog in between " past and present " as they are surrounded by real antics busts and craftworks from the Greek and Roman Period of time. 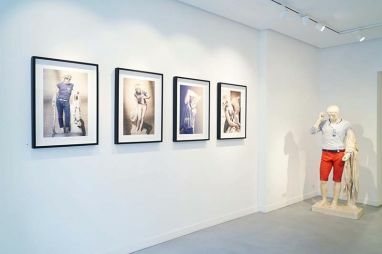 Alongside some other well known more modern art such as Yves Klein, Dali, Picasso and others. 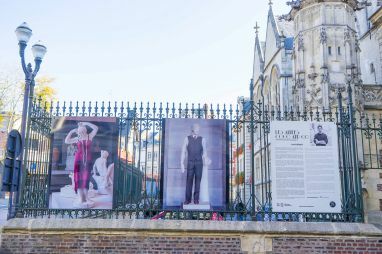 King's College - Classical Now exhibition - Public space installation. 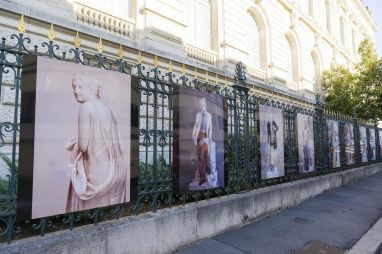 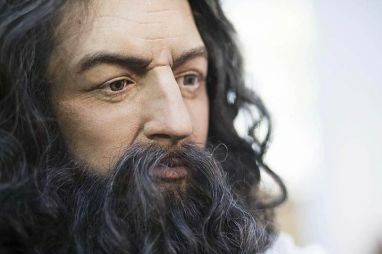 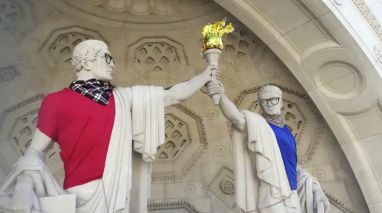 Leo Caillard has dressed up the large Statues of the entrance of the King's College for the " Classical Now " exhibition. 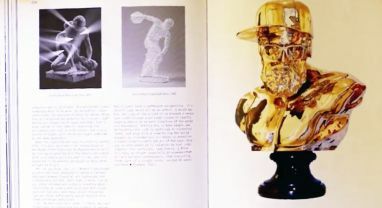 His work has been presented in the exhibition and in the catalogue, alongside well established artists such as Damien Hirst, Jeff Koons, Marc Quinn and many others. 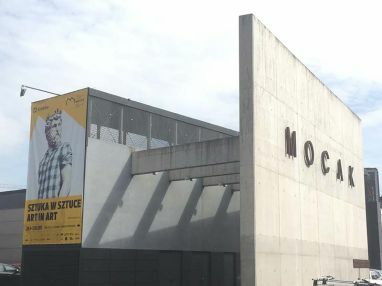 Léo Caillard present a large numbers of his art pieces during the contemporary museum show at the MOCAK in Krakow. 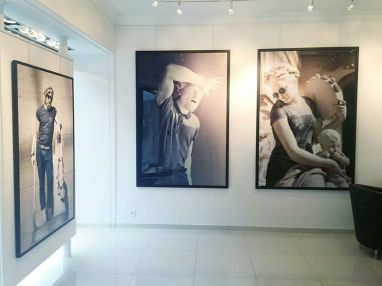 His art work has been selected to make the press and paper communication of the exhibition. 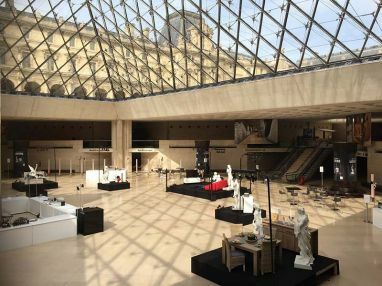 Leo Caillard had the chance to create 6 specific art pieces for a private event of a furniture brand happening at the Louvre Museum entrance. 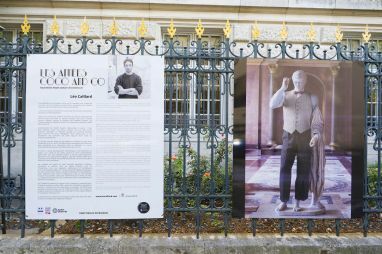 Léo Caillard is invited by the well known brand ADOBE to present his personal art and point of view about photography and scultpure. 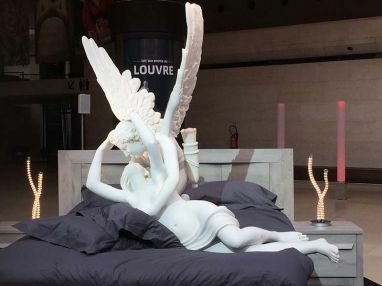 Léo Caillard present his new creation during the YIA paris fair. 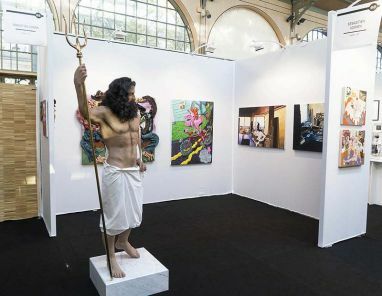 A real size hyper realistic Poseidon. 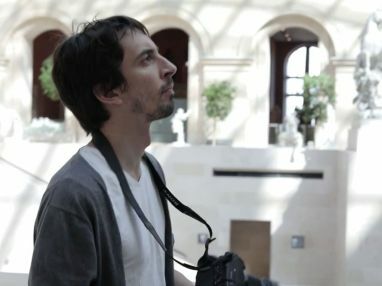 Leo Caillard will be on German TV ZDF over the summer for an introduction of his work. 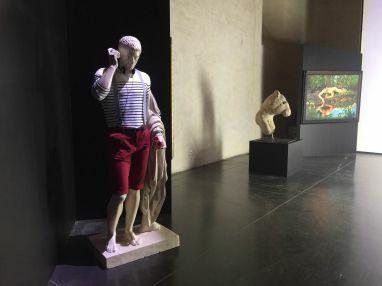 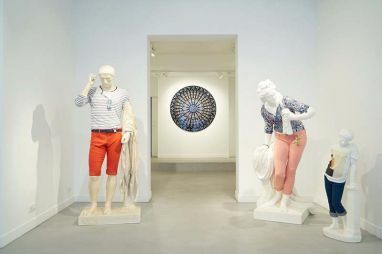 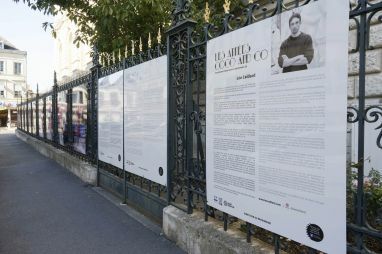 Leo Caillard solo exhibition will present his well known « Hipster in Stone » photo serie as well as some real size version of marble dressed up statues. 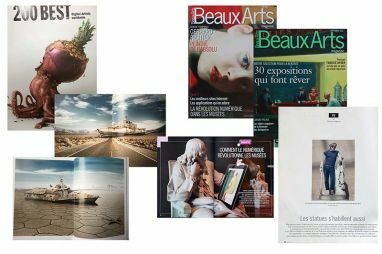 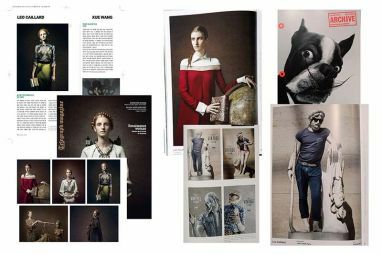 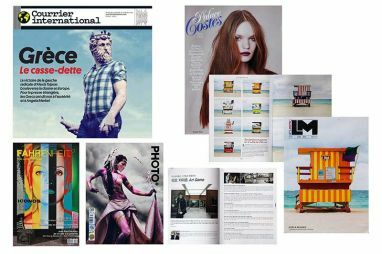 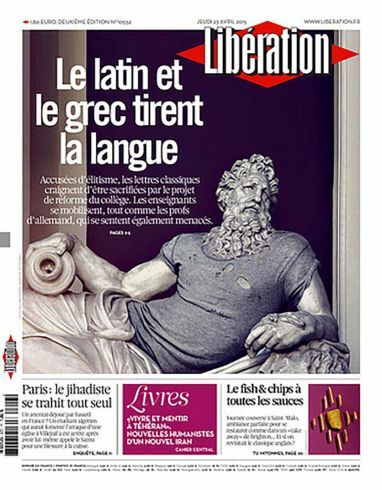 Press publications in several major Art paper magazines and web including Beaux-Arts mag, Courrier international , Photo+ , Liberation, Courrier international, Huffington Post, Daily Telegraph and many others. 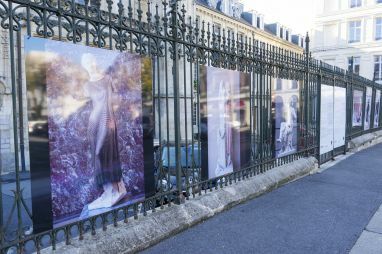 Leo Caillard will be on french TV Paris Première in a documentary talking about art and fashion. 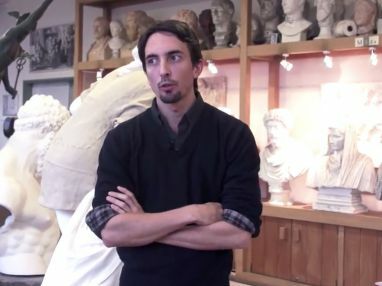 He will explain the concept of his work as well as the process of creation of his dressed up statues. 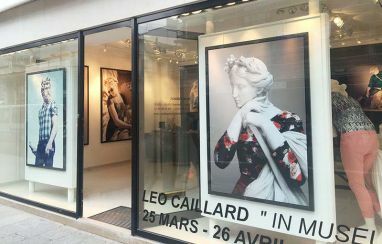 Leo Caillard solo exhibition, 28 av Matignon in Paris, Photo and sculpture work.